2 long-term travelers reveal travel tips and world-class professional photography. 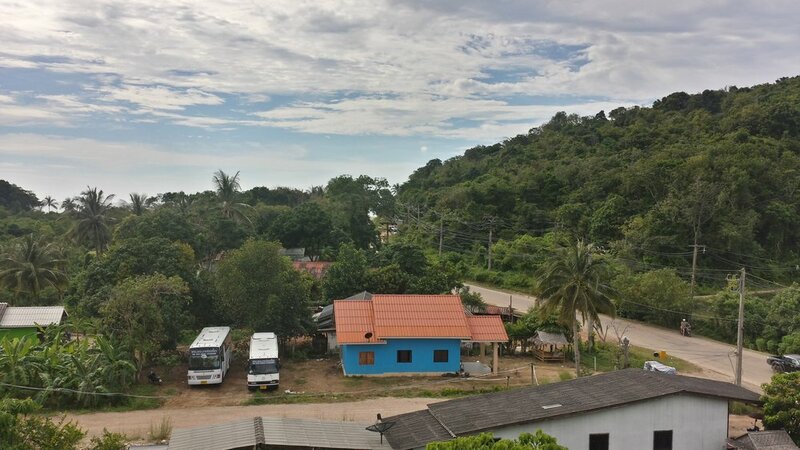 After Repacked my bag for what must have been the three-hundredth time I waited patiently downstairs for my transfer to pick me up and take me to the ferry to Ko Lanta. I had thought the boat trip was only 1.5 hours, but it ended up being closer to 3.5 hours long. I guess I've been traveling so long that I no longer ask about things like trip length--the extra information just doesn't seem to matter much. From traveling so long I've learned it's not worth getting worked up or investing any mental energy into things that are inevitable and out of our control. My guesthouse was nice enough to offer free pick-up service at the pier. During the 15 minute ride to my hotel I chatted with a very nice Latvian couple. They were on a short 2-week trip visiting the south of Thailand. They seemed very interested in my world travels and asked many questions about lessons I've learned and my perspectives. Something I've come to accept, though a gross generalization, is that while Americans wait for their time to speak Europeans genuinely seem interesting in learning from the experience of others. I think this gives the impression that Americans out extroverted while Europeans are more introverted and keep more to themselves. As an American I can understand why we (Americans) feel people like the French are rude, but in fact it's just one of many very distinct cultural variations between our two continents. I spent over a day without A/C so the hotel gave me an extra room to hang out until my a/c unit was fixed. I walked a round where my guesthouse was and negotiated a scooter rental for ~140 baht a day ($4/day), which was a much better rate than the guesthouses quoted 250 baht/day. I unpacked much of my bag, for the first time in over a year. It's funny to look at my stuff and think how much crap I actually have with me. I have been wearing the same 2 shirts, 1 pair of underwear, and shorts for the last 2 weeks. My only motivation to change my outfits was when my parents were visiting. I took my scooter (and helmet) and drove 20 minutes north, to the pier where I was initially dropped off. This northern top of the island, known as Saladan, is where much of the tourist industry is concentrated. Massage, souvenir, tourist, and food shops line the streets. However, despite all the action the roads are relatively quiet and mostly used by locals on their scooters. I peeked into some of the dozen of dive shops and tour agencies to get a better idea of how I'm going to spend my 9 days here. 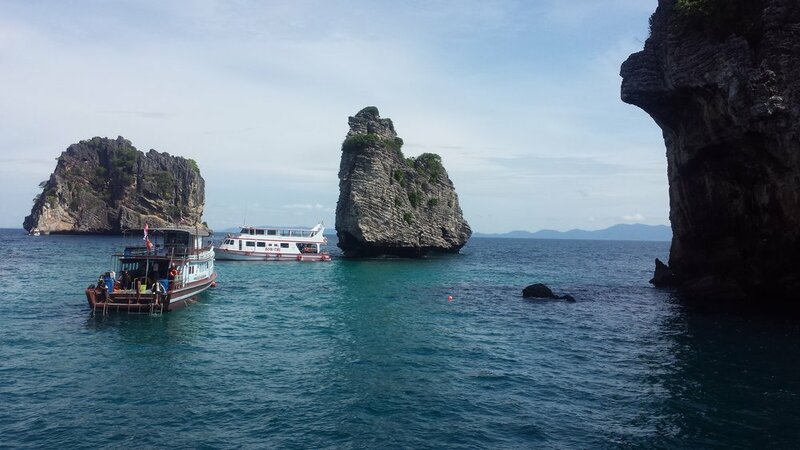 "Krabi and Ko Lanta are a melting pot of Buddhists, Thai-Chinese, Muslims, and even sea gypsies. The majority of the population in the rural areas is Muslim. The area however, does not suffer from any religious tension and the folk live in peace and harmony. Most of the folk speak with a thick Southern dialect which is difficult for even other Thais to understand. With this kind of mixture, Krabi is always celebrating something be it part of Thai Buddhist, Thai-Chinese, or Thai-Islamic tradition. After buying a kilo of mangos--for 80 baht vs. double that in more touristy places such as Phuket--I stumbled upon a carnival/food market. Local families were throwing darts at balloons, spinning large wheels in hopes to win prizes, and eating chocolate covered strawberries. However there were still many delicacies, typical to the area, available for sale. I enjoyed a beer and watched sunset at one of the many beachside restaurants on Long Beach--Long Beach is the 2nd or 3rd most popular beach on the island. I have been going to Lanta Yoga early in the morning. A walk-in class is quite expensive--400 baht--so I bought a 5 class pass for 1,500 baht, which is still $8.50 USD/class. 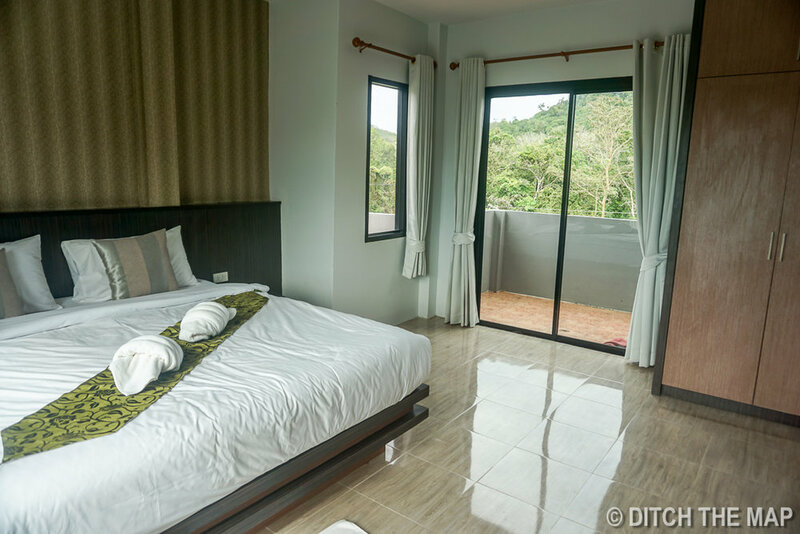 You'll find much better prices in Chiang Mai/Rai and Pai up north. Lanta Yoga has not even been open a year but each class still has half a dozen students. The much more popular studio on the island is called Oasis Yoga, though it was farther from my guesthouse and I wanted to more low-key scene. One of the instructors is German while the other is British. The British woman talked a little about her life. One thing I'm going to miss so much when I return stateside is the diversity of interests, open-mindedness, and genuineness of people. 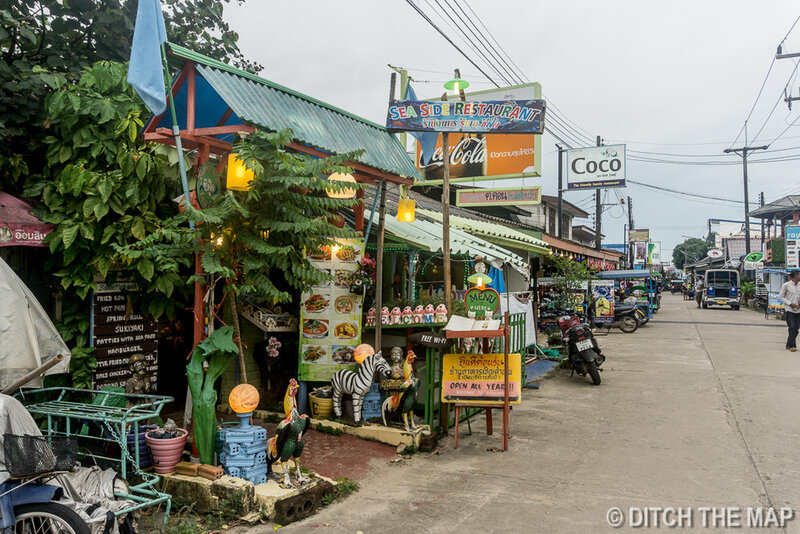 The Brit had been backpacking when she fell in love with Lanta 15 years ago. She worked during high season as a Dive Master and would return to Britain for several months a year to work in extreme sports. She just had her first child and she holds yoga classes 3 times a week and run a coffee shop while her husband runs the attached guesthouse. I've met so many people that pick up and start a life for themselves all over the globe. The vast majority of people in "The States" simply do not possess this mentality. We have been taught that this is not even a possibility. We work in our jobs hoping to make more money next year and save some of our paycheck to go on the extravagant 2-weeks vacation that we have been conditioned to equate as happiness. Vacations are nice but if you are unhappy with your current life balance you really need to rethink a lot. It took me a year and traveling around the world to learn about myself and all the possibilities my life can take--not just the ones we've been taught through American propaganda. The world is safe (actually the safest it's ever been in human history), people are friendly, and our options are endless! Ok, enough with that! Unlike most of the beaches I've seen in Thailand they are very wide here, reminiscent of the beaches in Lombok and Bali. 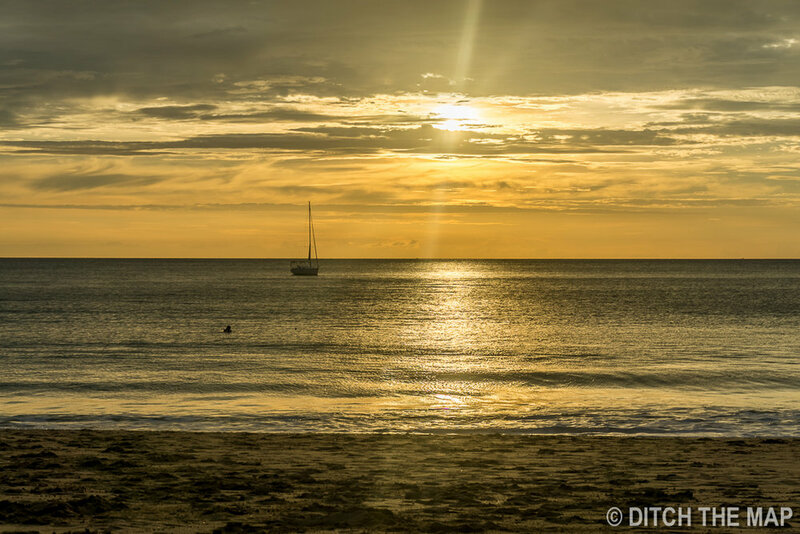 These beaches have restaurants and resorts dotting their lengths, except for the largely desolate beaches on the eastern and southern part of the island. Many places have 'fire' shows each night around 8. Some places have hammocks and swings while others offer seaside massages to relax while taking in a beautiful sunset. I visited Old Town one afternoon, because I guess it was something to do. It really wasn't worth the 30 minute scooter trip there but it was still nice to see more of Ko Lanta. For the first time I cut across the interior of the island. I couldn't help but be reminded of our long motorcycle rides through the monkey forest in north Lombok. Although there were some monkeys here they were not in abundance like down in Indonesia. On my journey back from Old Town I found a local carrying a large black sack in the direction I was going. I slowed down and he gestured to me. I wasn't sure what he wanted but I stopped. He hopped on back and we were off together. For how long did this sea gypsy need a lift? I ended up taking him all the saw to the norther pier, a good 25 minutes past my place. Adding another 50 minutes (there and then back again) to my uneventful day was of no concern for me. He seemed very appreciative as he got off and took his sack to the covered marketplace where we was probably going to sell whatever we had hauled up all this way. For $35 I took a day trip to Ko Rok to snorkel. I heard it was much better than the '4 island' and 'Phi Phi' tours. The water was shallow and clear but it did rain for a bit of the day. We went to 3 different snorkeling sites and had a 1.5 hours lunch break on a beach. The speed boat took us to our destination in under 45 minutes. Not much to say about this trip. It was ok, but compared to diving it was a little unexciting. 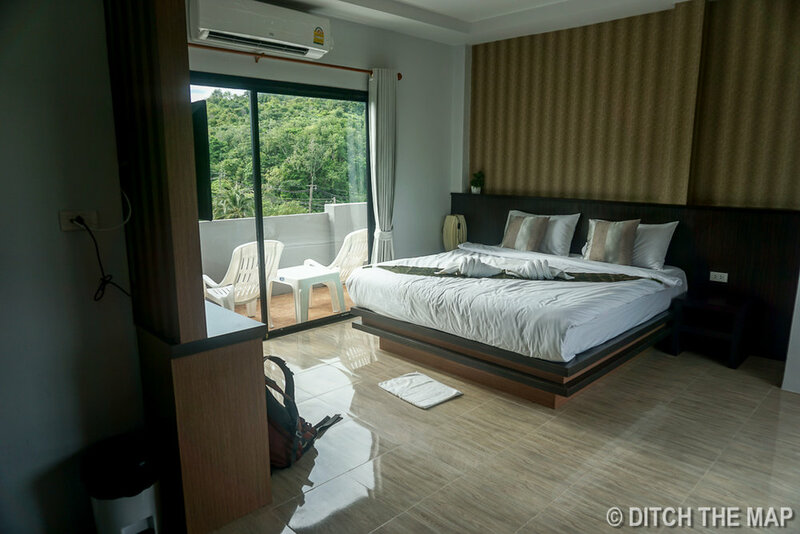 It was a bit expensive but I splurged and paid the 3,300 baht ($94 USD)--plus the 600 baht for the national park fee--for a dive trip to Ko Haa. The trip includes a massive breakfast, lunch, tea, fruit, and equipment for 2 dives. It's required to have an advanced certification to make the dives but I told them about my recent diving experience and my adventure deep dive qualifications and they were more than satisfied. Another Swede, and an older woman, had asked me several questions about traveling to Myanmar as she was going next month. I told her that despite all the internet forums Myanmar is not an expensive place to go. A young Swedish Dive Master - He was passionate about life and love traveling. He regrets learning later in his life, even though it's only 25, about how many ways one can live their life. He learned through travel that the entire notion of a career, money, mortgage, consumerism, etc. is just propaganda created by society to churn out more like-minded people that don't disrupt the fabric of their way of life. I couldn't agree more! I spent much of my time chatting up an Italian girl from Rome who now lives in Milan. She was taking her Advanced Diving Certification over the next three days. We talked about the typical stuff one talks about when traveling...the problems wrong with society back at home. She gave me the great idea of trying really hard to make European friends upon my return stateside. The diving went well and the second dive site, Island #1 was fabulous. The dive shop had a professional cameraman taking photos of us underwater. He was a french man living abroad for over 20 years old and said he could't move back to the west. Consumerism, rage, intense individualism, lack of community were all reasons he states. I couldn't agree with him more. Sylvie and I can see ourselves ended up somewhere in Asia...down the line that is. Sweden has one of the most generous parental leave (föräldraledighet) systems in the world. Parents are given 480 days of paid leave per child (90 of those days are reserved for the father). Benefits cap at a maximum of $4,080 USD/month. The mother has the legal right to reduce her hours by 25% until the child reaches 8 year old. Just a fact, most of Africa, the old eastern block, and South America all receive more maternity leave than we in the States do. Because the Swedes get so much paid time off they tend to take advantage of that time off. 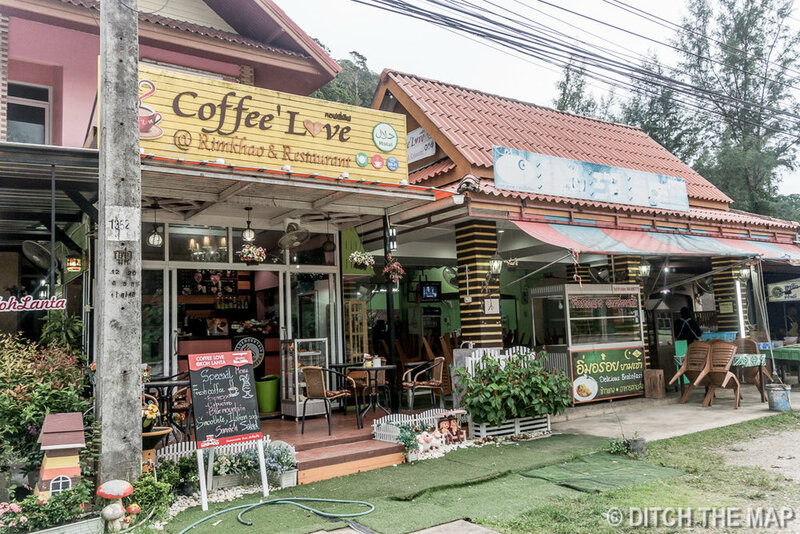 Here in Ko Lanta there are two Swedish schools and a handful of Swedish restaurants. How nice would it be to be a new mother and take your entire family to a tropical wonderland where life slows down. Meanwhile your older children can go to a top notch school. I've been doing my part trying to eat as much Thai food as possible. Within the last week I've had green, yellow, massaman, and panang curry. I always order it extra extra spicy and usually the waiter/waitress gets very impressed. I also have eaten a lot of papaya salads, which are spicy my nature. I've gotten so used to the spice that I have started eating the raw Thai chilis that are served in the main dishes--they're typically only for flavoring. I had pad thai, which is not something I typically get and tom yum spicy shrimp soup. I've been mixing things up because food here in the south is fabulous. Once I move to Chiang Rai, my next stop, the food will become a bit more bland. I made an effort to spread my money around to the locally owned restaurants. I ate at 6 places within a short walk away 7 times--all of which were locally owned. Practicing sustainable tourism has been increasingly important to me the longer I travel. It's our responsibility, as a visitor in a foreign land, to not degrade the culture and living conditions of that region. I caught a shuttle from Koh Lanta to the Krabi airport. I got picked up at 3:10 and for the next 1.5 hours was driven around the islands from a man who had the best of intentions but wouldn't figure out where any of his pickups were located. We were finally on our way by 4:45. The poorly air-conditioned van made its way to the ferry and we drove on, remaining in our seats. We continued onwards to the airport where we arrived around 6pm. I went to check-in and drop off my bag when I realized my passport was not in my pocket. It must have fallen out during the horrible ride I just completed. I frantically emailed and called my hotel and the cafe I ate at earlier in the day. Luckily the nice lady at the my hotel was able to track down the driver of the van and the driver located my passport. It's now being held for me at the Krabi International Airport. I'll figure out how to get it to me in Chiang Rai tomorrow. I chatted with a nice British girl next to me on the plane. She's planning on traveling Thailand for 5 weeks and then spending a year on a visa working in Australia. She said she's already out of money and needs to work before traveling again. She plans to head to Bali after working for 3 months in Australia. It's pretty pathetic how so many people work just to travel and spend everything they earned. I'm the first person to say how important travel is but why can't you do it without breaking the entire bank? It's funny that when I tell people I'm ending my trip after 16 months the most common response is, "Oh, so you finally ran out of money". I want to tell them, "actually at our current pace we have enough to keep traveling for the next 10 years" but I don't. I guess being both financially responsible and interested in travel non-material things is not a common trait.